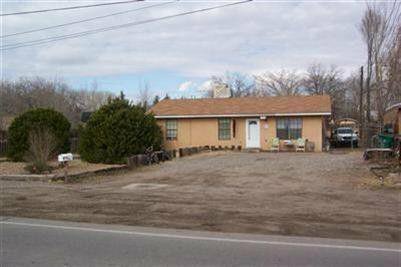 THIS HOUSE HAS TENANTS, THERE IS NO LOCKBOX AND NEED TO SET UP SHOWINGS WITH BROKER. REC WITH ONLY 5% DOWN!!!! The home doesn't have a master bedroom and only 1 bathroom in the home, but with .26 acres you can add one and build your dream home in Los Ranchos!!! New Roof 2019! !